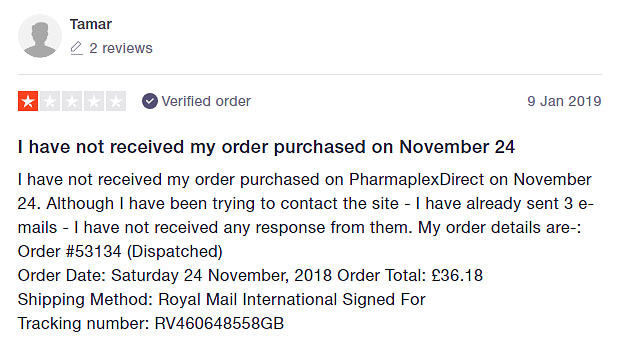 PharmPlexDirect.com is a UK based online pharmacy which aims to provide the cheapest products and deliver them to your door within 24 hours. They claim to be able to reduce your medical costs by up to 90%. We examine the details of this pharmacy to find out if you should consider it for your medical needs. 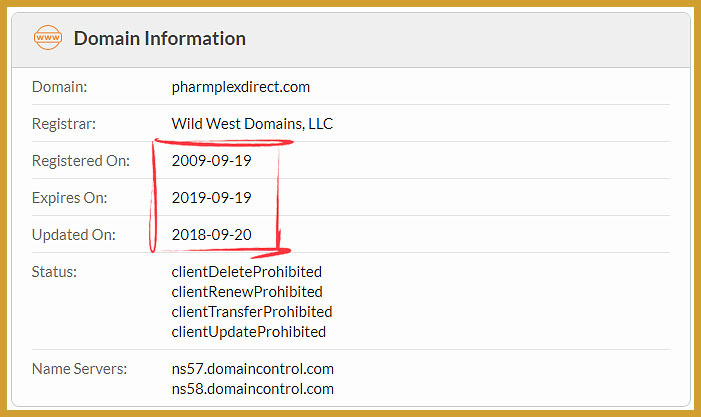 The domain name database shows us that the address for this online pharmacy was registered in 2009. This is quite good as stores which have been around for longer are more likely to be legit. 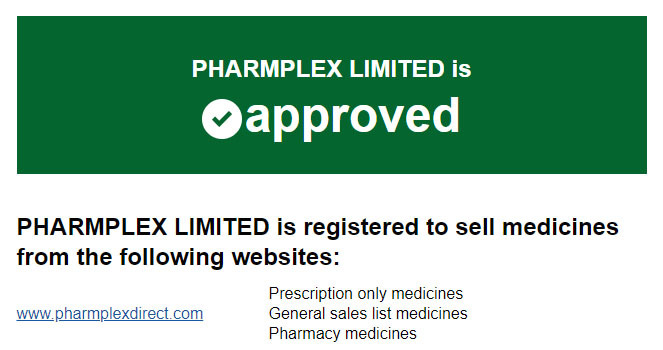 The registrant contact information gives us a company name which relates to the domain name – Pharmplex Limited. The business name and address can be found on the contact page of this store. This can give you more confidence in the trustworthiness of a pharmacy, as long as it is true of course. Checking this address shows us that there is indeed a real-world pharmacy store at that location. In order for online pharmacies to be operating legally, they need to be signed up to the appropriate governing bodies for where they are located. This store has seals for a number of regulatory associations. 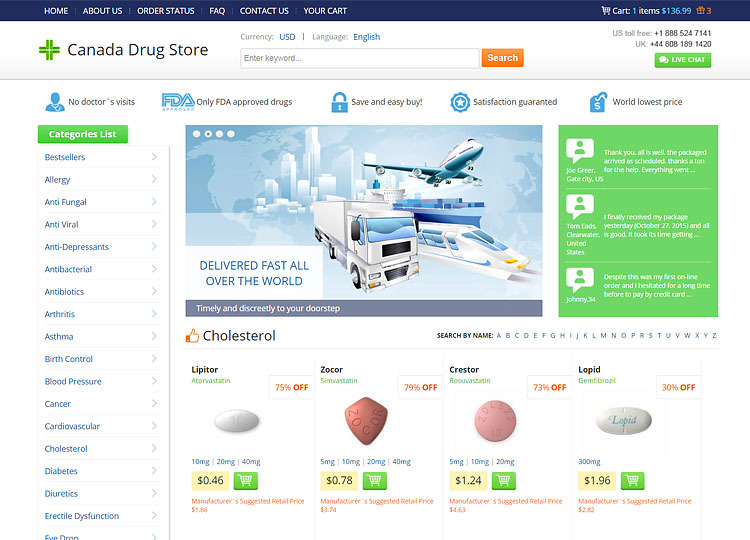 This pharmacy is operating from the UK, so is required to follow the EU rules for the selling of medicine online. The European rules require that the common distance selling logo, with country flag, be featured on every page where medicine for human consumption is sold. This store is correctly abiding by this rule. The EU rules also state that the pharmacy needs to be registered with the government body which regulates medicine supplies. The UK Government agency responsible for this regulation is called the Medicines and Healthcare products Regulatory Agency. We check on their database and find that this pharmacy is correctly registered. As a genuine pharmacy, they also need to be regulated by the General Pharmaceutical Council. They have the seal for this on their store, but it doesn’t correctly link to the database entry. However, a manual search of the GPC database does confirm that they are registered. 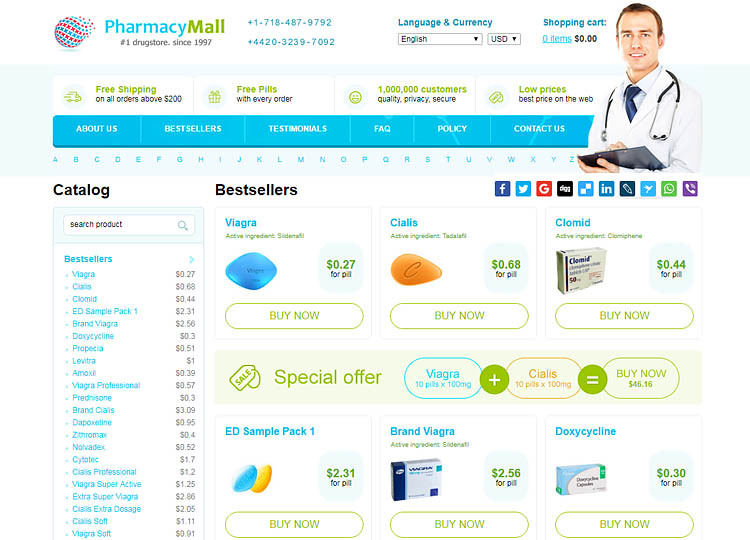 LegitScript has taken a look at this online drugstore finding that they do not meet their verification standards. They classify the store as an ‘unapproved Internet pharmacy’. 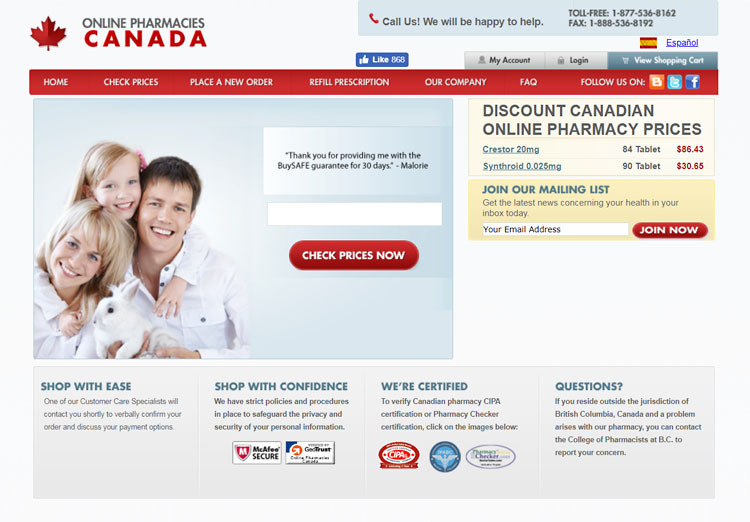 This pharmacy offers a very wide range of products, in fact, they claim to sell over 25,000 different product lines. They sell everything you would expect to find in a normal brick and mortar pharmacy store. Some of the main categories they offer include baby products, dental, skin care, sunscreen, vitamins as well as prescription and over the counter medicine. 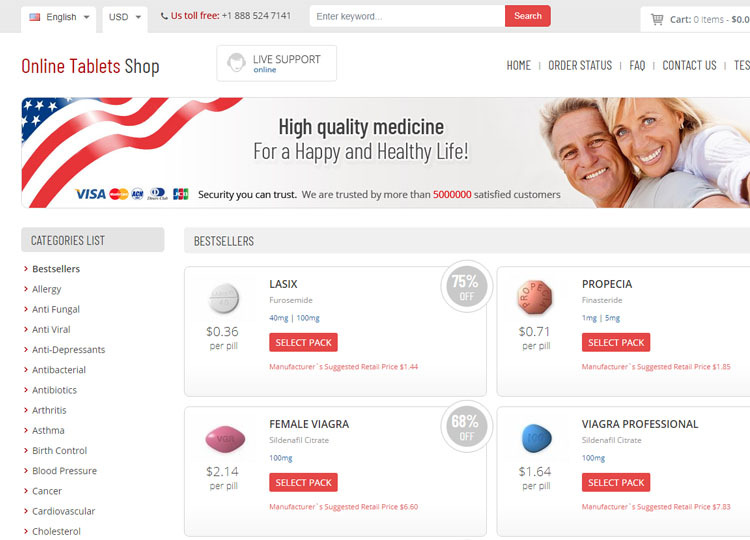 You will need a prescription when ordering some of the medicine available on this store. They give you clear instructions on how to send your prescription to them. They will only accept prescriptions from UK doctors, however. A doctor service is available for certain prescription medications. 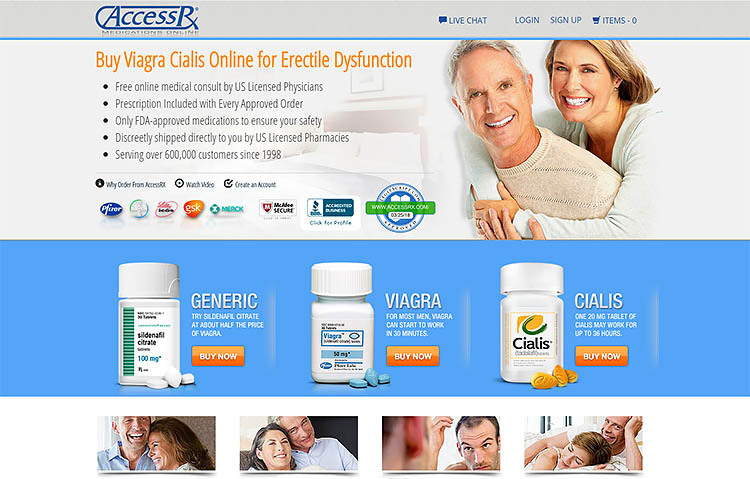 This doctor service is provided by Pharma Doctor and you are redirected to their site to complete your consultation. The Pharma Doctor service is correctly regulated in a similar way to the main store. The service has also been approved by the Care Quality Commission to make sure the quality of care is up to standard. Unfortunately, we haven’t been able to locate a coupon for Pharm Plex Direct. Drugs can be purchased from this store using Visa, Mastercard, Electron, Delta, Maestro, Solo and Paypal. Their store is secured with a valid SSL security certificate to ensure your important financial details aren’t intercepted when you enter them on the checkout page. Delivery is available worldwide but they won’t supply every type of product to everywhere in the world, due to legal restrictions. Delivery cost is dependent on the weight of your order. Free shipping is available on orders over the value of £40 in the UK, tracking is available on all deliveries and a signature will be required. They aim to ship products the same day you order and delivery within the UK is expected to be next day. An online form, telephone number, fax number and postal address are available to make contact if you have an issue with your order. We have seen several reports of customers having problems with their orders and not getting a resolution. 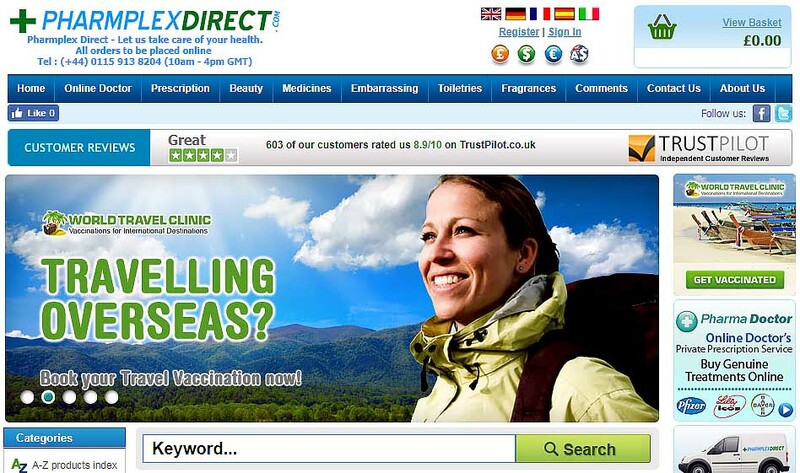 When looking for PharmPlexDirect.com reviews we find that they have some on their own site. These reviews are good and there are lots of them, but of course, the feedback found here isn’t going to give you an accurate view of how well this pharmacy serves its customers. The reason for this is because they aren’t going to post any testimonials to their site which are negative or highlight problems. The comments found here aren’t very recent either, with the most recent being from 2015. 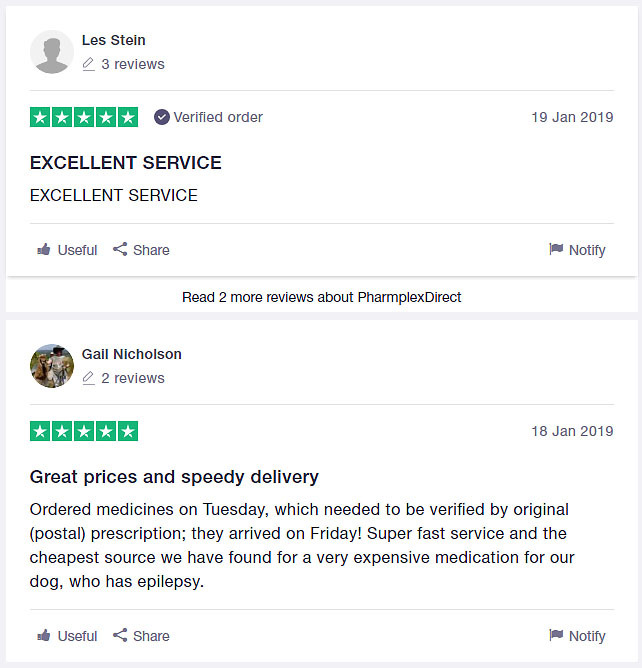 It is better to find testimonials on independent review sites and fortunately, there is a Trustpilot page for this store. This may explain why the testimonials found on their store page aren’t recent, and they now direct people to post on the Trustpilot page instead. We find a large number of customer posts on this page, with most of the testimonials being positive and an overall rating of 4-stars. The testimonials would seem to be genuine and from real customers. This isn’t surprising given the number of customer posts, but this number also raises a slight problem with these comments. They are directing people to post a testimonial on the site, we know this because many customers have left multiple comments. There may be some form of encouragement involved in this, with perhaps a discount offered to people who leave a comment, but we don’t know for sure. There are a lot of good things you can say about this pharmacy, including good customer feedback, correct regulation and a large range of products. However, there seem to be some problems when it comes to customer service and not all of their products are available worldwide. We mark them down accordingly, awarding them 3.6 stars out of a maximum of 5.